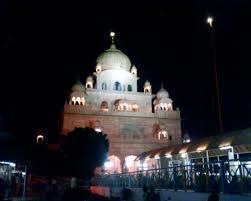 Here is Some Information about Gurudwara Bala Sahib in Delhi India. Gurudwara Bala Sahib is among one of oldest and historical Gurudwaras in Delhi.Gurudwara Bala Sahib is located at Ashram Chowk, Lajpat Nagar, Delhi and also sictuated at River Yamuna.Large number of Sikhs and Hindus visit this holy place daily. This Gurdwara is associated with the eighth Guru Sri HarKishan and two wives of Guru Gobind Singh namely Mata Sundri and Mata Sahib Kaur.The Gurudwara is visited by people from all across Delhi and from different faiths and communities. 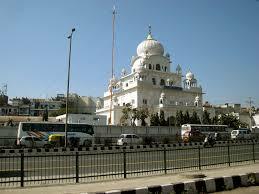 The Gurudwara has a majestic structure and is made from white marble. The premise is well-maintained and is an excellent place to visit and experience the serenity and calm. The Gurudwara consists of two buildings, the new and the old building. Both the buildings are located adjacent to each other. The main hall of the Gurudwara was built between 1957 and 1958. The Gurudwara features a huge hall and is open on all seven days throughout the year. It can be visited at any time of the day and people can be seen praying and meditating in the premise. The Gurudwara conducts all the regular rituals and celebrates all important festivals. The Gurudwara has a huge langar hall which conducts langars for the community. The complex also includes staff quarters and a main prayer hall where all the rituals are conducted. There is also a school and small community hospital in the premises. The shrine of Mata Sahib Kaur is located in a small room in the main room of the building. 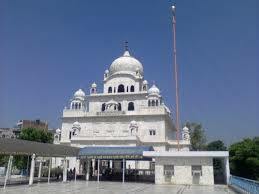 The shrine of Mata Sundri is located outside the premises of the new building of the Gurudwara. According to the history, Guru Shri Harkrishnan got sick serving the people of Delhi suffered with Small pox. Guru Sahib asked the Sikhs to take him to the some far away location from City. Sikhs pitched a large tent on the Bank of River Yamuna here. Guru Sahib directed Sikhs that he is going to leave for Sachkhand. He asked for 5 Paise and a coconut. Devotees asked Guru Sahib about his successor, Guru Sahib uttered only "BABA BAKALE" and left for Heavenly Adobe. Guru Sahib's last rites were performed here and Ashes were taken to Kiratpur Sahib. At this place last rites of Mata Sunder Kaur Ji & Mata Sahib Kaur Ji were also performed. 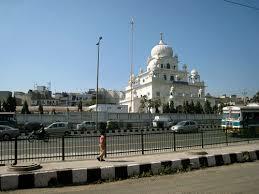 By Road : There are many public and private vehecals available to reach Gurudwara Bala Sahib in Delhi . By Metro : The Nearest Metro station is Lajpat Nagar Metro Station.